Maxon Digital's Per-Anders Edwards (l) and Territory Studio's Marti Romances (right) at the Sci-Tech Award Show with the Academy of Motion Pictures and Sciences Award Certificate. 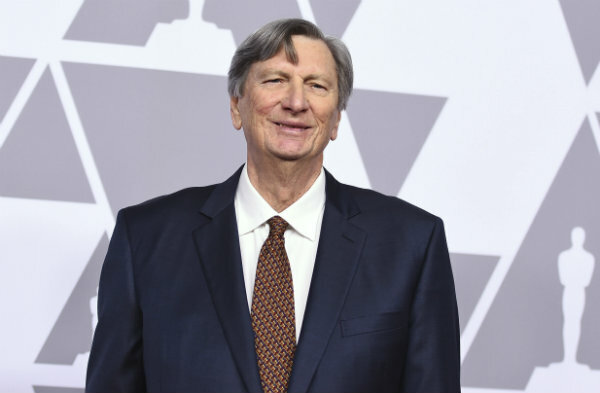 When ASC member John Bailey was elected president of the Academy of Motion Picture Arts and Sciences in 2017, he became the first cinematographer to hold the position in nearly 60 years (the other being George Stevens, who was better known as a director). Now in his second term as Academy president, Bailey did double duty on Saturday (2/9) night--first at the Academy’s annual Scientific and Technical Awards ceremony in Beverly Hills and then presenting the marquee honor for feature film excellence at the ASC Awards in Hollywood. In his introductory remarks at the latter ceremony, just prior to presenting the ASC Award which went to Lukasz Zal, PSC, for Cold War (see separate story here), Bailey sent the ASC gathering greetings not only from the Academy’s Sci-Tech community across town but also specifically from ASC stalwart Curtis Clark who that same evening had received the Academy’s prestigious John A. Bonner Award during the Sci-Tech proceedings for helping to shape motion picture technology and educating the industry about that technology as well as assorted technical issues--with much of that work done in his role as chair of the ASC Motion Imaging Technology Council. During the Academy ceremony earlier in the evening, Bailey quoted Doug Roble, chair of the Scientific and Technical Awards Committee, noting, “We take pains to not award the tech of the moment, but the technology that has had a lasting impact on the film industry." In addition to Clark, nine scientific and technical achievements were honored at the Scientific and Technical Awards Presentation in Beverly Hills. Here’s a rundown of those recipients. The film academy has finally revealed the Oscar categories that will be presented during the commercial breaks of this year's broadcast.